Phanes Group, the international solar energy developer, investment manager and asset manager headquartered in Dubai, has acquired and will co-develop three 100 MW grid-connected solar PV plants in Nigeria. 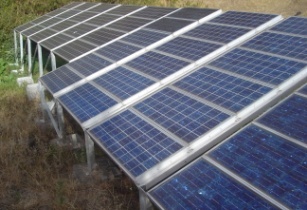 The ground-mounted projects will significantly raise Nigeria’s current solar capacity and contribute to the Nigerian government’s ambitions to generate 2000 MW of power from renewable sources by 2020. The projects span three locations, including the Mando area of Kaduna, Birnin-Kebbi in Kebbi and Sokoto in the North-West of Nigeria. The latter, in Sokoto, benefits from one of the highest irradiation levels, 2210 kWh/m2/year, in the country and is backed by one of the 14 recently signed government Power Purchase Agreements (PPA) with utility-scale solar power developers, which will collectively add around 1,200 MW of solar capacity to the grid. The first 50 MW of Phanes Group’s Sokoto project will be grid-connected as early as the first quarter of 2018, and the project is expected to be complete by the end of 2018. The Kebbi and Kaduna projects will be delivered under the Hasken-Rana brand, a joint venture between Phanes Group and its Nigerian partners, and are due for completion before the end of 2019. “Nigeria’s policy makers have worked proactively to address the nation’s immediate and long term electrification challenges through the introduction of attractive clean energy policies, and we are beginning to see the fruits of those policies,” said Martin Haupts, Chief Executive Officer of Phanes Group. The projects will be managed and delivered from Phanes Group’s new Nigerian office, which is expected to be operational from the end of this year and will service the firm’s broader West African solar interests. This follows the opening of the company’s African’s headquarters in South Africa, earlier this year. The Nigerian Electricity Regulatory Commission (NERC) has issued two on-grid licenses to KVK Power Nigeria PVT Limited, and Aluminium Smelter Company of Nigeria (ALSCON) to generate 590 megawatts (mw) of electricity from solar and gas respectively. The commission said that the KVT Power is to be located in Yabo, Sokoto State, adding that the firm has met the requirements for the granting of 50mw on-grid generation license with no objection received from the general public to its application. The NERC statement also said that ALSCON’s application for an on-grid electricity generation license in respect of a 360mw gas-fired plant at Ikot Abasi, Akwa Ibom State and a permit in respect of a 180mw captive power generation in the same location were approved and issued. The approval to ALSCON, according to NERC, came after the review of an objection raised by the BFI Group was found not to affect the grant of the license. Sam Amadi, chairman, NERC, while congratulating the two licensees for successfully going through the process said, “Our system is to ensure that whoever is licensed is able to carry the construction to completion. What we can tell the licensees is that we will support you in any way we can as you make progress.” He said that the commission is available to assist the licensees when the need for Power Purchase Agreement arises. Abubakar Cika, chairman, KVT Nigeria, commended the reforms of the government in the power sector, saying that it was unfortunate that there had been a lot of negative comments about the sector. He noted that “people fail to realize that Rome was not built in one day,” adding that KVT would execute the project in collaboration with Indian partners. These are the sixth licenses to be issued by NERC this year. SOLAR LESSON: What is Solar Energy?